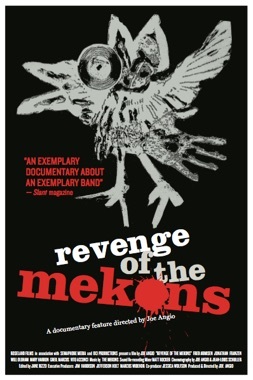 WANT TO SEE REVENGE OF THE MEKONS? Revenge of the Mekons is distributed by Music Box Films, which is releasing the film in theaters across the U.S. and Canada in 2015. Want to see it in your hometown? Let us know! Click below and enter your ZIP code where indicated. YES, BRING REVENGE OF THE MEKONS TO MY CITY! Please check here and the film’s Facebook page for updates. A belated and hearty thank you to Jim Newberry for the use of this photograph, which is uncredited in the film. Check out Jim’s fine work at jimnewberry.com.